lifting solutions and service. Terrier has six main values we stand for. We know the people that use Terrier lifting clamps are working in harsh and dangerous areas on a daily basis. This is why Terrier believes absolute safety and safe lifting is our number one priority. All our lifting clamps are tested on our in-house testing facilities up to 2 times the Working Load Limit (WLL). Terrier Lifting Clamps are designed on a break factor of even 5 times the WLL. 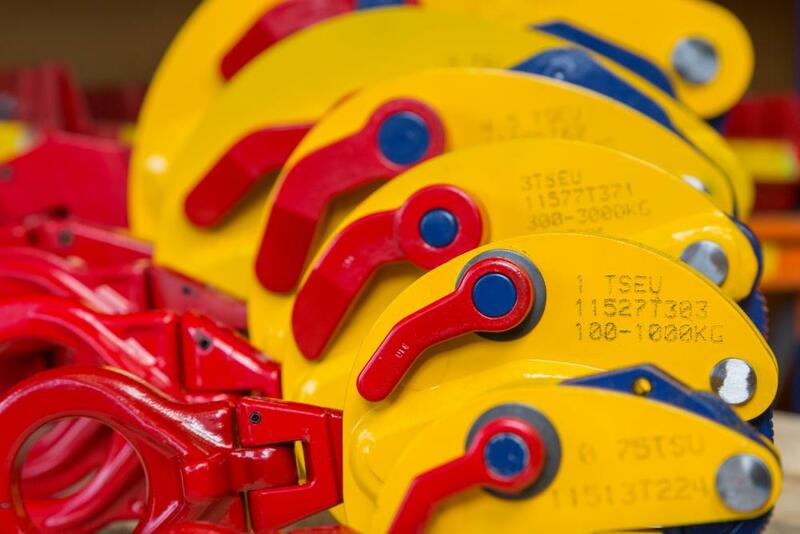 Each clamp has red signal colouring on lifting eye and locking lever for extra safety and is supplied with a test certificate. When using Terrier clamps please make sure to read our safety instructions in the “Safe Lifting” section and the supplied user manual. Lifting steel plates and structures is tough work. During lifting and transportation clamps are under enormous tension and pressure. Besides that they hit, fall, bump and slam onto all kinds of hard materials. That is why you expect Terrier lifting clamps to have tough quality. 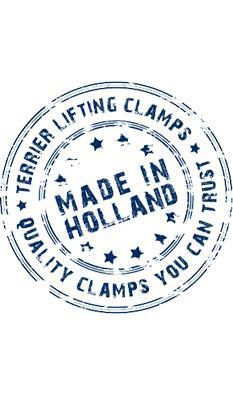 Terrier tough quality lifting clamps guarantee a high performance and a long operational life. They are maintenance-friendly and have heavy duty welded shell bodies. The lightweight and streamlined design make them easier to handle. Terrier lifting clamps meet all standards and requirements like: European Norm NEN 13155, American Norm ASME B30.20-2010, Australian Norm 4991and European Machine Directive 2006/42/EC. When you need a lifting clamp, you usually need it today or even yesterday. Lifting projects cannot wait and we understand this. Terrier guarantees fast and flexible delivery of standard and even special lifting products. 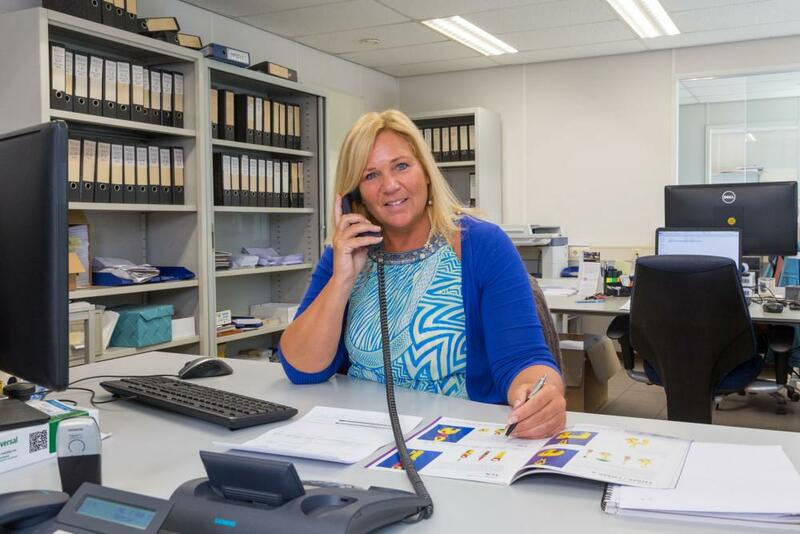 Terrier offers rapid, skilled and professional sales service and after-sales spare parts service. Next to this Terrier offers specific technical, sales and or instruction trainings upon request and given where needed. Continuously changing lifting demands challenge us to keep on innovating. Terrier Lifting Clamps has a strong focus on innovation. We can help you with almost every special made clamp or lifting product. Terrier Lifting Clamps ISO 9001-2015 certified production facilities is equipped with very modern machineries for efficient production on a constant high quality level. Engineering and technical know-how is on the highest level according to the latest industry standards and demands. Where-ever you are located, Terrier is able to supply you with the best lifting clamp solutions. The Terrier team has more than 30 years of sales experience on a global level and has a highly experienced engineering and technical team. Terrier relies on and works with a strong and professional worldwide distributor network which ensures that the expected quality and service is guaranteed. When you are in need of good lifting clamp solutions, Terrier is always close. Terrier is proud of her no-nonsense personal and professional contact and makes sure you will always get the highest service expected. You can find us through a Terrier distributor, call us or e-mail us for more info.